The introduction to the universe that Steadfast takes place in begins with what is currently being called Chapter Zero. It is a prequel of sorts to the main game series. Our purpose for writing and developing this prequel was to be able to go to Kickstarter with a fully developed, though short, game to introduce our world, characters, and gameplay mechanics. This way, our audience can have a clear idea of the kind of game we are shooting for when they are deciding whether or not to help fund our project. Our progress on Chapter Zero is our main focus pre-Kickstarter and the central topic of this post. Since our last monthly update we’ve completed so much. First and foremost, we’ve begun to implement the story. Until now, we’ve had solely gameplay elements available to show, but now our characters have embarked on their journey. Second, we’ve improved our gameplay significantly. We’ve added new features such as a dodge mechanic where the player can dash out of the line of attack. Players can now also interact with certain objects in the game world, such as shaking an apple tree. Creatures drop loot, cutscenes are more fleshed out, and AI has been drastically improved. Finally, we’re leaps and bounds ahead of where we were in terms of our assets. Final level designs have ben created and implemented and melodies, both new and old, are starting to take shape. We’re very happy about where we are and where we’re going… and we recently got to see what others thought about the game as well. 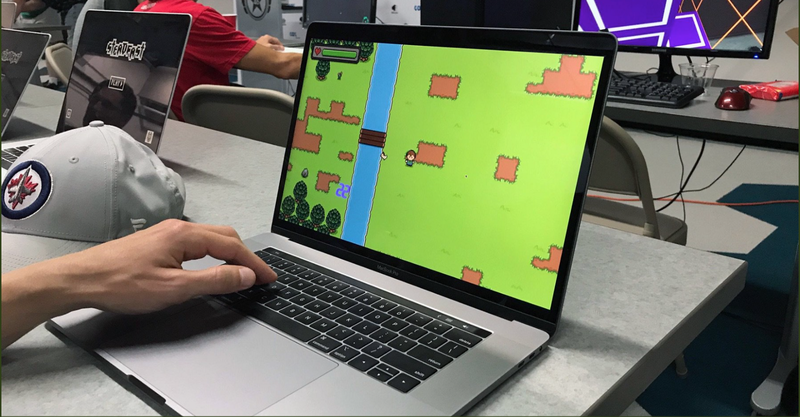 Last week two groups called Oklahoma Game Developers and Techlahoma put on an event for local developers to playtest their games. Even though Chapter Zero wasn’t complete, we saw this as an opportunity to show the last four months worth of work and to get some critical early feedback to ensure that we are meeting expectations and are creating an engaging and fun game to play. We showed up with a short demo revealing about one-sixth of Chapter Zero. The story in the demo was near complete, but was unfortunately missing the final climactic battle scene. The gameplay was nearly all there, and the story was about three quarters completed. Even though we didn’t have a finished product, the response was overwhelmingly positive. We had three computers set up for people to play the game so we had people playing Steadfast all night long. Along with the affirmation we recieved about the progress of our game, we recieved some really great critiques. This feedback is essential to produce a game that people love and doesn’t make incorrect assumptions in gameplay or story. Obviously, this is our priority because we want to go to Kickstarter with a great game that is compelling enough to want to help fund our efforts but also engaging enough to play on its own. The plan is to try to finish this by September. We’ve playtested once with a relatively small group of people on a small portion of the game. During September, we hope to playtest the full Chapter Zero with a larger group of testers to get final feedback and responses before we consider the game complete. In October, we hope to launch our crowdfunding campaign on Kickstarter. But more on that later.